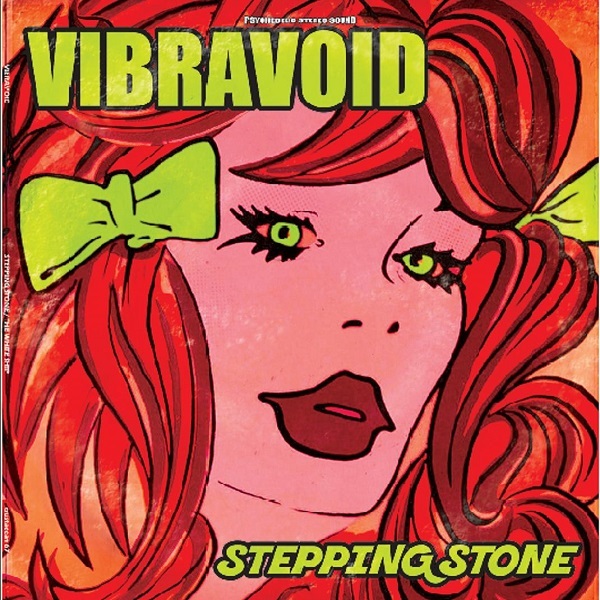 Germany’s highly prolific and popular psychedelic rockers Vibravoid are back with another slab of FdM vinyl. This time around they cover three different 60s songs: “(I’m Not Your) Stepping Stone” by The Monkees, “Hole in My Shoe” by Traffic, and “The White Ship” by HP Lovecraft. Taking a break from their Krautrock/cosmic jams, this new single is their unique psychedelic versions of these songs. The Monkees’ version was pure teeny bopper pop that Vibravoid transformed into a psychedelic freakout that still clocks in at 2:23. “Hole in My Shoe” is one of my favorite Traffic songs and Vibravoid’s cover breathes new life into the song with vocals from Italian jazz vocalist Viola Road. Vibravoid first covered HP Lovecraft’s “The White Ship” on their 2012 album Gravity Zero. Now they’ve remixed it a bit for this release. Personally, I think that their 2012 version is better as the remix tends to sound a bit muddy to me. Either way, Vibravoid has out-psyched HP Lovecraft with this song. For some reason that I do not quite understand, Vibravoid discs are difficult to come by in the US. In point of fact, Vibravoid is the band that led me to Fruits de Mer in the first place many years ago. So definitely try to score a copy of this new single if you happen to see one.